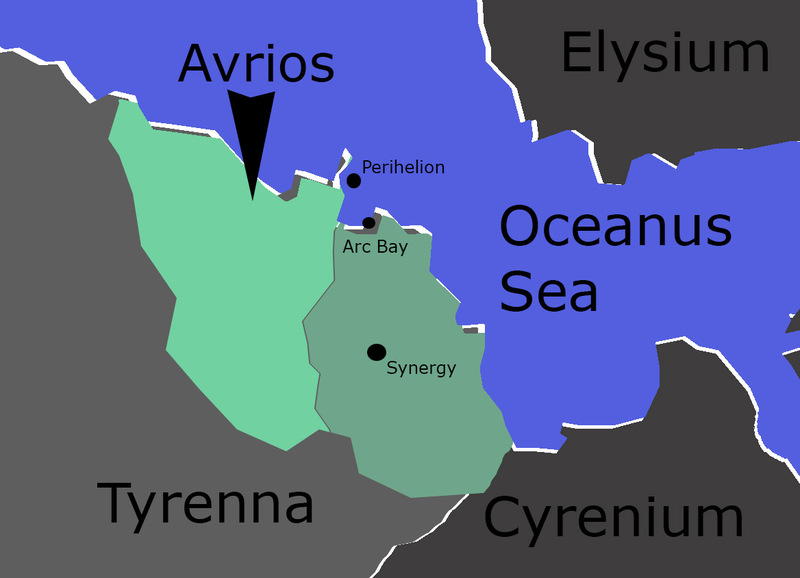 This entire region’s all about marketing, and Arc Bay’s arguably the worst of it. You can’t get a good mixed drink there to save your life without setting your retirement back five years. The light show is amazing, maybe worth the price of admission, but they’ll actually ding your ledger for the privilege of watching. That’s just not right. Try to leave at sunset if you want to skip the mandatory entertainment surcharge. Lumen’s spaceport, Perihelion, is not accessible to the general public, unless you’ve paid for the privilege of one of their flights and a planetside landing. In which case you, dear traveler, have more money than we do, and more power to you. Once upon a time, the chemical/high-energy research corporation Covalence held the flaming coast, and Arc Bay was the shiny jewel on their tarnished crown. That was a bit less than a hundred years ago. More recently, Cynosure picked up the land for a steal after Covalence’s stock tumbled after a surprise adjustment. There’s been some change…the industrial parks and think tanks have been replaced by gleaming storefronts, and at least one massive tower has been leveled to build a docking port, but the flaming coast has always been a tourist trap. Now it’s a tourist trap under new management. When Lumen bought out Covalence, Arc Bay became one of their biggest Mars offices. And frankly it’s no wonder. For a company that likes to show off their tech, this isn’t a bad place to begin. The Flaming Coast gets its name from a series of fireform projectors, each a shining tower of beachfront tech. As soon as the sun touches the horizon the projectors light up the sky and sea with arcs of radiant electricity, ribbons of neon drift across the ground, and once in a while some poor seagull perishes in a flash and a surprised squawk. It’s been one of Mars’s bucket-list destinations for well over a century, but Lumen’s definitely upped the game, bringing safe plasma effects down to earth and ramping up the energy of the light show with some high-end generators that they haven’t even brought to market yet. Beyond the light show, Arc Bay’s a mix of Lumen billboards and a mix of the latest and hottest startup businesses courtesy of the Cynosure corporation’s marketing machine. It’s definitely a place to see and be seen…maybe not as classy as a riverside bistro in the Vale, but the flash, crackle, and boom is its own kind of amazing, particularly when one of the resident pyrokinesis artists takes the controls and there’s live music on the stage. Wayfinder has taken the grand tour of Lumen’s offices in Arc Bay and found them miss-able. The AI driven holograms are well-crafted and convincing, but there’s a sterile quality, a certain “this is here for your benefit” style, and the sense of being insignificant and possibly under a magnifying glass is hard to shake. Unless you have business with Lumen (and you wouldn’t be going to their public headquarters if you did), leave this one off your list. It’s not that Lumen ships aren’t allowed to dock at Phobos Station (although they aren’t, it’s not exactly enforceable). It’s more that Lumen’s not too keen on putting their weird miracle light-speed drives in the care of a shipyard owned by ASR and MarsCo. So when Lumen bought their own corpornation, they wiped out an entire island’s worth of architecture, replacing it with a four-mile dockyard. And it’s glorious. When their ships come down on a pillar of light, as perfectly balanced as if some strange god was lowering it down on a golden string…there’s nothing quite like it. Unfortunately the port is not open to the general public, only to Lumen passengers. Arc Bay is purely for the spectacle: Lumen’s cogsunes have no particular need for a corporate headquarters, and if they did, it wouldn’t be on Mars. That they’re there at all is a PR move, and no important business has ever been initiated at their Arc Bay office. However, in their grand social experiment, the interactions with the public have been useful, and their holographic information services give just as much feedback to the corporation as they do to the office visitors. For the cogsunes, Arc Bay is just one more laboratory, if a pretty one. ♃ Party Animals: The cogsunes do not completely understand vectors. In a big picture way they’ve got the basic idea down, they’re pretty good about base drives and their predictive algorithms are solid, but certain concepts…inefficiency, art, music, recreation…don’t fit well into their rigid minds. One of their simplest experiments is the ongoing price to find out exactly how much a vector will pay for an overpriced alcoholic beverage. It seems to be a hyperbolic curve: raising the price of a drink seems to make it more desirable. What the heck is that about? Joking aside, Arc Bay is a very strange sort of lab, a beachside party town run by mad social scientists.